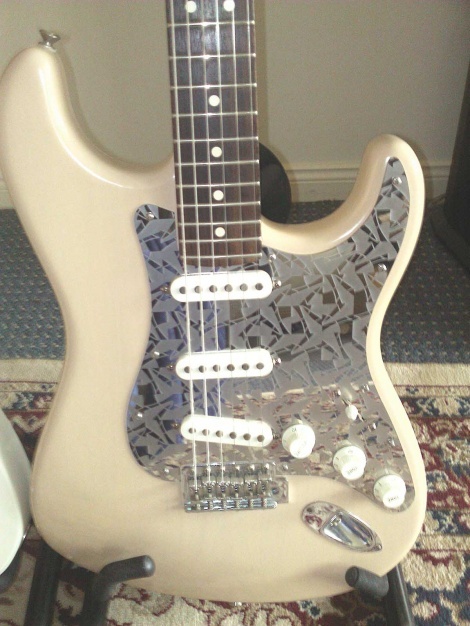 Peter from nearby Coolangatta dropped around with his Strat and selected the Kaleido guard, to replace the standard old white plastic. A very nice playing USA Highway One Strat, with honey blonde satin nitro lacquered ash body, you can still just see the wood grain. Gorgeous! Thanks for the photo Peter.